With this homemade Cajun Seasoning you’ll have your favorite Cajun dishes on the table in no time. 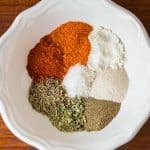 Making this Cajun spice mix at home is economical and chances are you already have all the ingredients in your spice cabinet. Growing up in Germany I had never heard of Cajun cuisine. My first exposure to Cajun food was after my family moved to Canada. We started eating out more, where I saw things like ‘Blackened Cajun Chicken’ on restaurant menus. I remember one time my husband and I were arguing about how to pronounce Cajun – until we asked a waitress, who of course sided with him. Later at home, I had to get to the root of this mystery word. Thanks to trusty Google I learned about the French-speaking ‘Acadians’ and their long journey from the Canadian Maritimes to Southern Louisiana. Suddenly the odd-to-me pronunciation totally made sense. What also made sense was the flavor of the amazing Cajun spiced chicken. It was super hot but very delicious! Fast forward many years to now where I am a food blogger who loves to travel and discover cultures through food. Always fascinated with ethnic cuisines and always trying to recreate everything at home. While also trying to do so from wherever we are currently based in the World. We’ve now been in Mexico for close to a year and are loving it through and through. Adjusting to food blogging in a new country always takes a while and can be anywhere from easy to quite challenging. Mexico has been great for food blogging. From all the fantastic fruit and and vegetables in the markets, to spices, coffee, and chocolate! But also the convenience of modern supermarkets and tiny specialty stores. One of my favourite little shops has an extensive bulk spice section. When I saw it for the first time, it confirmed for me that I could do food blogging from here. They may not have all the specialty seasoning mixes one could wish for, but with all the individual spices available it has been no problem (and very economical) to mix up whichever seasoning blend I currently need or want. From gingerbread spice for holiday baking to garam masala and even chai spice mix – I’ve been able to find every single ingredient I wanted. And right now I needed Cajun seasoning! It is a unique spice mix consisting of salt and several peppers (black pepper, paprika, some even use white pepper). 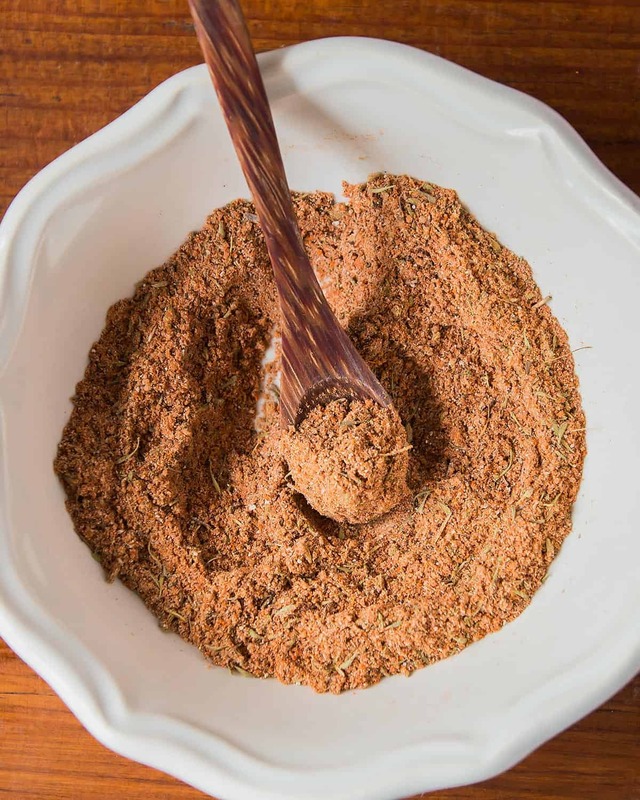 Dried thyme and oregano make up the European influence of the Cajun spice blend. While chile powder (I used cayenne) gives it the famous heat. And finally garlic and onion powder for always great savoury flavor. It differs from Creole seasoning in terms of heat. 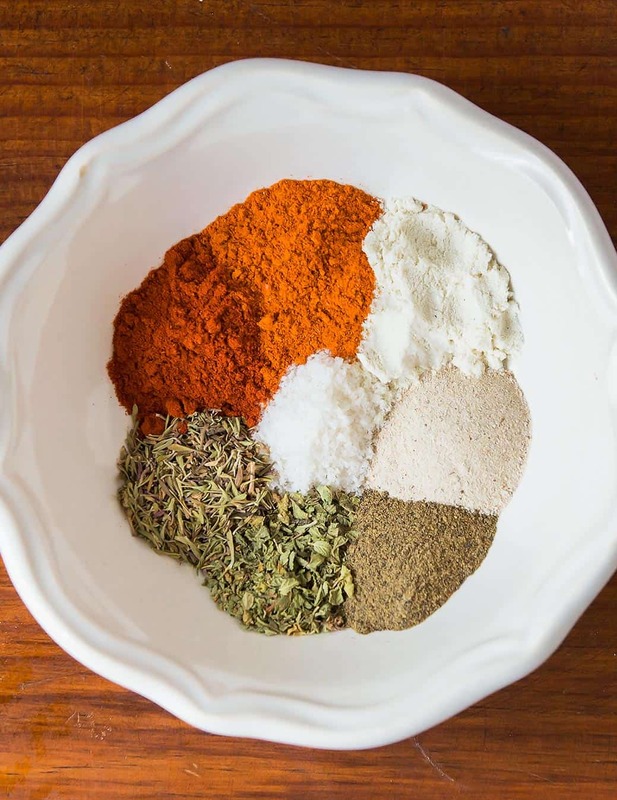 While Cajun spice mix can classified as quite hot, Creole spice uses more herbs like basil, bay leaf, or rosemary, which makes Creole food well seasoned but not necessarily overly spicy. How to Make Cajun Seasoning? 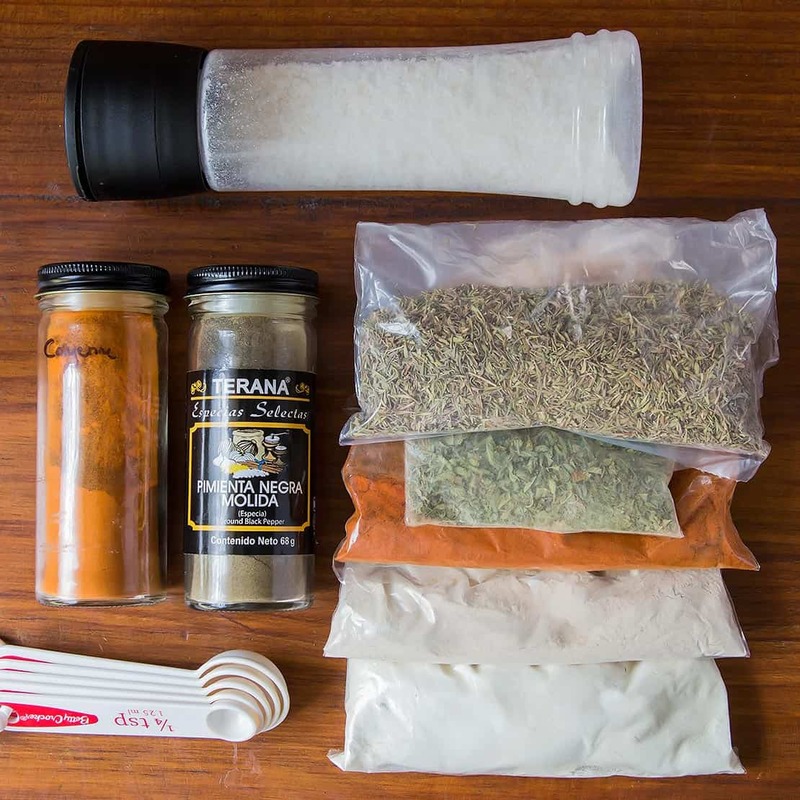 DIY Cajun seasoning is as easy as it gets. Check the list of ingredients in the recipe box below, then walk over to your spice rack, cabinet, or drawer to see if you have all of them on hand. Chances are high that you do in fact have all of them already there. If not, put the missing ingredients on the shopping list for your next trip to the store. Once you have all your spices together just measure them out, mix them together and fill into a storage container. Or you could even just fill everything right into an empty spice jar, close it tightly and then shake until everything is fully combined. Store your homemade Cajun seasoning in a cool dry place together your other spices. How to use Cajun Seasoning? With this homemade Cajun Seasoning you'll have your favorite Cajun dishes on the table in no time. 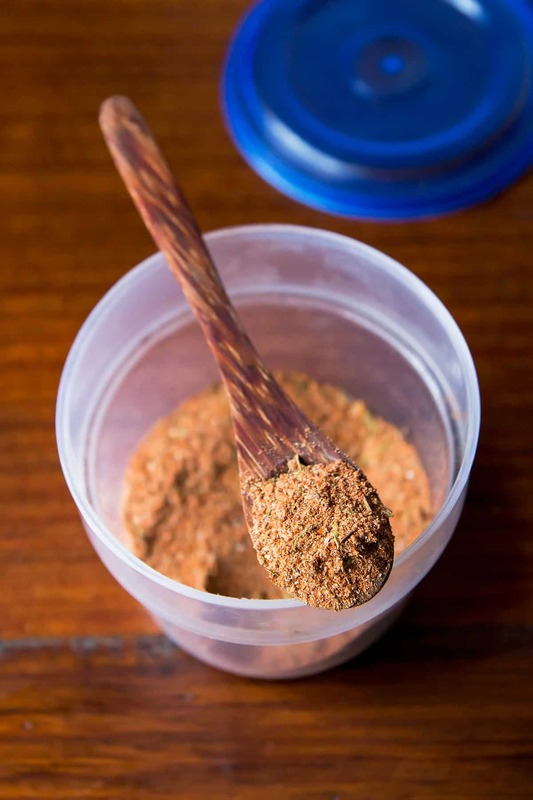 Making this Cajun spice mix at home is economical and chances are you already have all the ingredients in your spice cabinet. Gather all your spices and grind or crush all that aren't already. Measure each ingredient into a bowl and stir to combine. Or fill directly into an empty spice jar or container with a tight fitting lid, then shake until everything is fully combined. Store in a dry and cool place (with your other spices). Cajun is one of my favourite flavours!! I love that I can now make it from scratch. Thanks for the recipe Regina! I am so glad this recipe will come in handy for you!